It’s a persistent question that has reader Sherri perplexed in trying to understand her rights to a photograph of her grandparents: the question of the difference between owning a particular thing and owning the copyright to that thing. In July 1992, with permission, I took a photo of an original, one of a kind, picture of my grandparents that was in the possession of my mother. I then did some restoration work, and gave copies to my aunt and uncle and my brother. I still have the copy negative. My mother is now deceased. Yesterday I discovered my photo on Find-A-Grave. I wrote to the poster asking for his source for the photo. He replied that he didn’t remember. I then politely asked him to remove the photo from Find-A-Grave and anywhere else he’s posted it. Today I learned that other family members have had unsuccessful dealings with this individual.Do I have any recourse or does this individual have me over a barrel? The problem here, of course, is the problem of who owns the rights to that photograph. And that’s a different question than who owns the photograph itself. Many different people can legally own a copy of a thing — The Legal Genealogist and all of the readers of this blog could all own a copy of a book or a calendar or a painting or a photograph, for example, and we’d all be perfectly legal in our ownership of that item. So we have to work through the rights here. First and foremost, who took the original photograph — the “original, one of a kind, picture of (Sherri’s) grandparents that was in the possession of (her) mother”? As the Copyright Office notes, the owner of the copyright is usually the photographer — or the photographer’s heirs if the photographer is deceased. If the work isn’t still copyrighted, then it’s in the public domain — and anyone who owns a copy of the photo is allowed to use it. January 1, 2019 + Mickey Mouse = ??? Take it up with Congress! What about the fact that Sherri did restoration work on the photo? Her copy is likely to be considered, under the law, a derivative work — not an original. So would she hold the copyright to the derivative work? The only possible answer is: it depends! See Circular 14, Copyright in Derivative Works and Compilations. So I have one more question. I found a picture of a Civil war soldier I’m related to in two recent books. One was not sourced and the other attributed it to a certain collector. I wrote a blog post on the soldier but did not include the picture of course. As I was going through some followup steps, still hoping to track down the owner of the picture, lo and behold the owner contacted me. He was the father of the collector that had been credited (incorrectlyl). Such a kind person, and he had a copy made for me and sent it to me. I was thrilled and plan to use it on the blog someday and thank that collector. So my question is, would I have had any right to take an out of copyright photo from a copyrighted book and use it? Judy, this has been an education. Thank you. And I think you are doing a service by bringing this up; people have a lot of confusion about old photos which they did not take. What I always think is, as long as the picture is not assigned to the wrong person, why not, my ancestors might be getting a kick out of a little new life on the internet. I had my great-grandmother’s tintype on my Facebook account for a long time because she died at 27 and never got to have that much fun. I thought she would enjoy the airing. But that’s just me. I am, personally, so very grateful to so many cousins for unhesitatingly sharing photos with me — including things like the only photograph of my great grandfather I’d ever seen. I do understand wanting credit for our own hard work in identifying photos and preserving them for our families — but I hope when it comes to family photos we are as gracious in sharing with our cousins as we want them to be in sharing with us. If I follow your explanation and the original statement of facts if the picture was taken prior to 1945 and the photographer died before 1945, the lady retouched the ( a copy) original photo she broke no laws and she created a new version of the photo thus a new work by her and it should be her work of art and the copyright is now hers for the new work of art. If she as unfortunately most owners of old photos cannot determine the original photographers location or contact information there is little more than the best effort to locate the original photographer to protect the original copyright. Your answer is spot on based on the limited information she gave you. As a person working in the photo industry for 30+ years a picture only had to look better than a casual snapshot to be considered copyrighted. As a photographer I always gave my clients the original negatives or slides or a copyright release when using digital media. I did this for friends and relatives any money I made covered my time and expenses only.Just because you payed for the picture you do not own the picture or the ability to reproduce copies unless your are given a letter of release. If the purpose was merely to recreate the original as faithfully as possible, then the “new” work isn’t a “new” or original work at all. It’s merely a copy — and a copy isn’t covered by copyright. Only if there is some creative spark, some infusion of originality, is the derivative work copyrightable. What surprises me is that people fail to realize that more than one family member may have an old copy of their ancestors photo. You have to consider that your may not be the only one in existence. 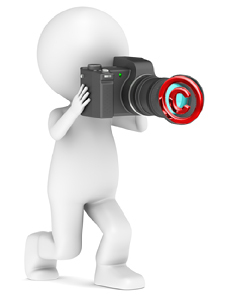 Transfer of ownership of the copyright from the photographer to the individual must (today) be in writing. If the photo was made before 1978 by a professional photographer, it is likely that it was work made for hire. The rules for work made for hire under the 1909 Act were different than they are now. That would mean that copyright would belong to the person who hired the photographer and copyright would expire 120 years after creation (assuming the photo was unpublished prior to 2003) – unless there was a contractual agreement to the contrary. Another excellent and informative post Judy. Thank you. These are issues we all face on a frequent basis. My head spins sometimes. What is the situation when the copyright holder is an incorporated company, and therefore never dies? Does the copyright in such a situation persist indefinitely until the company is wound up? No, when the copyright holder is an incorporated company the copyright ends 120 years from the date of creation (if unpublished) or 95 years from publication or 120 years from creation (if published, whichever expires first). I wish people were more interested in sharing their photos and research rather than making sure that they get credit for the material and keeping it hidden. I accept the point that if you created something that you own it and have control over what is done with the material. I don’t understand why people seem to be so upset about others putting photos on Find-A-Grave. The only way to be sure that nobody publishes your photos or research without your permission is to never share it with anyone and to destroy it before you die. Now what would be the fun in that? I agree, Harold, but this is a bit of a vicious cycle: the folks who get most upset about finding their photos somewhere they didn’t expect usually aren’t asked and are rarely if ever given credit. So if people who post other people’s work or other people’s pictures on places like Find-A-Grave were more careful to give credit to the originator, it would be more like sharing and less like theft. When people have asked me for permission to share things in a non-commercial manner, I’ve always given permission. The issue, as Judy notes, is that many people who share other people’s stuff don’t bother to ask nor to credit. I’ve found so many of my modern photos of gravestones/etc., my research, and old photos I’ve taken the time to ID, scan, and share with other descendants, uncredited on a wide variety of sites online, and that’s just the things I’ve found. If they didn’t get it directly from me, often even the website where they found what I’d posted is uncredited. Why so many people don’t understand that it’s polite (and with copyrighted material, required by law) to ask permission and to give credit, I still don’t understand. Several genealogists I have known eventually completely gave up on sharing anything publicly because they got so tired of others passing it off as their own research. I guess I don’t understand the burning need for credit. I do genealogical research for my own personal satisfaction, rather than a need for praise or admiration. As an adoptee, I’m always thrilled to be able to find a picture of a biological relative. That people would hesitate to share such a thing because of need for credit is beyond sad to me. If I’ve done a lot of hard work over many years, having somebody say thanks … and making sure others know who to contact for more info or to share back with … would be awfully nice. I’ve always been curious about copyright ownership in the situation when I hand my camera or phone to another person to take a photo with me in it. Legally, does the person who clicked the shutter own the copyright? Not that I ever plan to get into a squabble with anyone over this . . . just wondering. I’d have to go along with the analysis of attorney Carolyn E. Wright on Photo Attorney in her blog post Q&A – Who Owns the Copyright? – Updated. Thanks, Judy. That’s an excellent post. I will be saving that! Answer to Mickey Mouse, as they say in NJ, FORGETABOUTIT!!! Now Judy will have to explain Legal differences between of Trademarks and what can be trademarked . Mickey and all of the other Disney characters are Trademarked. Their Legal protection is different from patents which are different from copyright and intellectual property law, including the length of time each remains in the private domain. Each is often traded through licencing arrangement, but the agreements and, infringement remedies, and the courts hearing cases differ. There is much discussion about intellectual property and copyright protection with the demise of newspapers and many periodicals, the issue of copyright, has become a nightmare for everyone. To add to the chaos are orphan works that do have copyrights but no way to photographer. In many of the above situations, you are dealing with family photographs and yes, the copyright belongs to the photographer, unless he is a stringer or on a work for hire contract, in which case it depends on the contract. To go a few steps further, even though you think you have the write to a copyright, the next question will be, was that ever registered? If you do not register, or batch register photo with the Copyright office at LOC within 3 months of first publication, your chances of recovery deminish. With Newspapers dumping morgues from photo archives no one is clear as to what is going to happen with many of those photos where photojournalist are alive but newspapers have sold the rights to everything. In a kind of gentleman’s/women’s agreement, many publications gave out takes from photos back to the photographers and had only copyrighted the printed picture (s). To complicate the issue further is social media and Ancestry type organization. The contract you agree to upon joining those groups is a general transfer of all rights. That is going to be challenged at some point, but it will be done by a Getty or Corbus or the Associated Press. A retouched copy of a photograph, if the owner of the original is known but the work product has not copyrighted, will not pass the test granting a copyright that will not hold up. A copyright is only given to the original work and the amount of manipulation to create a completely new work of art would be wholesale. You cannot do enough retouching to qualify your work as a new work. Among other things, I did work as a Photo Journalist for years and I have my none Pro photo friends who put much of their work on Facebook or Tumbler; to first create put a water mark on the photo or a design with (C) Year produced and Your Name. Do not use your online name. To be valid, your real first and last name. Next, anything you put online, add as much meta-data as you can get into the file you are uploading. You can use the copy right mark even if you never do register your work with the Library of congress. When you do this, make sure that you actually do own the photo rights. The next issue you run up against is the question of editorial usage vs. commercial usage. I may not be speaking correctly for I have not read the contracts I agreed to, but my guess is that Companies like Heritage and Ancestry have charters that establish that they are in business as educational companies. Commercial usage pays much higher rates than editorial usage, but education falls within the realm of editorial usage. A 1/4 page Photograph inside a textbook may earn a photographer $15 to $30. You are not going to make a living in photography nor can you afford go after a publishers for a tort remedy claim of unlawful and/or unattributed usage for a registered Photograph. you might even be awarded treble damages. The problem is that the filing fee to get on a clerk of the court’s docket is more than you can recover to begin with. Besides the Copyright office at the Library of Congress, I would like to add a couple of More sources for information. There is ongoing dialogue on the ASMP.Org American Society of Media Photographers, SPJ.org Society of Professional Journalist, and NPPA.org, National Press Photographers Association. NPPA’s Attorney, Mickey Oestricker is also helpful. The Mickey Mouse reference here is to copyright, not to trademark, David. The Copyright Term Extension Act (CTEA) of 1998 is derisively called the Mickey Mouse Protection Act because of its effect on extending the life of previously existing copyrights and keeping certain works — particularly Disney works — out of the public domain. Thank you for very interesting and informative post. I wanted to let you know that I’ve included your post in my NoteWorthy Reads post for this week: http://jahcmft.blogspot.com/2015/08/noteworthy-reads-21.html. To all the splendid legal minds who have posted on here, we all owe a debt of gratitude. This topic is one that, as a collector of old family photos, I am keenly interested in. I know that not all photo copy facilities are as judicious in protecting photographic copyrights. I have taken some of my original photos to be copied and had to sign a statement verifying that I created the photo originally. In other cases no mention was made of ownership. Judy, thank you for this article. What if we do not and most likely never will be able to know who was behind the camera? For instance, a family reunion photo from 1935, which could have just as easily been taken by someone who died in 1940 as someone who died in 1990?